Bjeringbro Silkeborg’s left back Sebastian Skube decided to take a rest in the national team of Slovenia until the end of era of Veselin Vujovic on the bench of sixth placed team in Rio. I won’t accept calls for the national team in the upcoming period. I haven’t been choosen for the last two events in Poland and Rio. That is a clear sign for me. I don’t need to practice and then to stay at home. 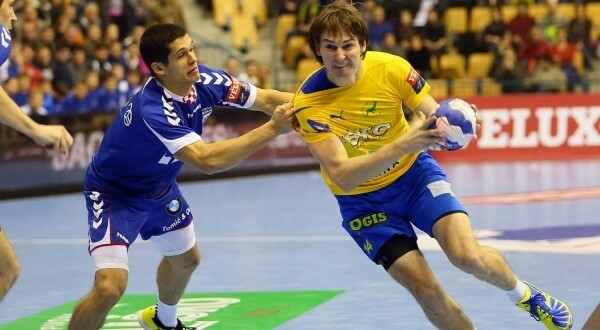 For me, but also for Slovenian handball is better, that some younger guys take my place. I didn’t find a good comunication with Veselin Vujovic.I was important member of the squad on the way to Rio, against Hungary in Play-Off for Qatar 2015, against Macedonians at Qatar 1/8 stage, on Olympic qualification tournament. I fought 10 years for it, and I didn’t see it at the end – concluded Sebastian Skube his story for SIOL.net. ← Previous Story 120 SECONDS SHOW – Mattias Andersson!